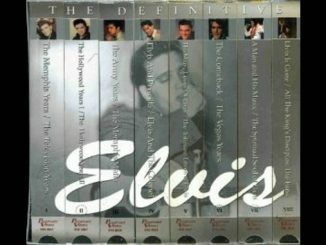 In this relatively complex case, receiver files petition seeking to compel Elvis’ Estate to proceed with purchase of a Boeing 707 airplane or pay damages. The court doesn’t rule on the issues but orders the Chancery Court to make a set of determinations on remand in order to properly settle the case. Robert Vesco, fugitive financier of questionable character, was also heavily involved in this case with interests in Fairfield General Corp. and International Controls Corp. This case deals with some interesting issues related to Specific Performance, Judicial Sales, Receivership, etc. Vernon Presley, as executor of Elvis’ estate, appears as co-defendant. In the Matter of FAIRFIELD GENERAL CORP., a New Jersey Corporation. At issue is the correctness of a Superior Court, Chancery Division holding that a prospective buyer may unilaterally withdraw from an agreement for the purchase of an aircraft made with the statutory receiver of its insolvent corporate owner. The lower court’s action was based on its perception of the effect of a contingency clause in the agreement purporting to make the buyer’s offer to purchase nonbinding until approved by the court supervising the receivership proceedings. If such a unilateral withdrawal is impermissible, the question remains whether in the present factual context the judge abused his discretion by permitting withdrawal by the purchaser rather than confirming the purchase agreement and insisting on the buyer’s performance according to the terms thereof. The history of this aircraft is voluminous and confusing. Our concern with the aircraft, a Boeing 707 jet specially modified to serve as an executive-type corporate plane, stems from its connection with Fairfield General Corporation (Fairfield General). Fairfield General, a former interest of financier Robert Vesco, is in liquidation pursuant to N.J.S.A. 14A:14-1 et seq. John J. McLaughlin is the duly appointed receiver of the corporation. Fairfield Aviation Corporation is a wholly-owned subsidiary of Fairfield General. The record owner of the aircraft was Skyways Leasing Corporation (Skyways), a wholly-owned subsidiary of Fairfield Aviation Corporation and therefore a sub- subsidiary of Fairfield General. Pan American World Airways (Pan Am) held a first mortgage on the airplane. In December 1973 Air Inter-Sales Co., Ltd. (Air Inter-Sales), a Bahamanian corporation, agreed to purchase the Boeing 707 from Skyways for $1,500,000. Approval of the sale had to be secured from the United States District Court for the Southern District of New York because that court was supervising the operation of International Controls Corp. (I.C.C. ), another Vesco interest which was a former parent corporation of Fairfield General. I.C.C. had been given an economic interest in the Fairfield General receivership in settlement of a suit against Skyways concerning the lease of the aircraft in question. The sale to Air Inter-Sales was by means of a conditional sales contract in which Skyways retained title. Cancillieres, S. A., a Panamanian corporation (Cancillieres), financed Air Inter-Sales with respect to the above transaction. Cancillieres allegedly received an assignment of all Air Inter-Sales’ rights and interests in the plane as security for repayment of the debt. As of March 1, 1974, Air Inter-Sales had defaulted both with respect to payments owed Skyways and with respect to its mortgage from Cancillieres. Cancillieres seized the aircraft and removed it to Panama. Air Inter-Sales and Cancillieres subsequently resolved their default problem. Meanwhile, back in New Jersey, the receiver of Fairfield General indicated to the Chancery Judge that he would be able to get lawful possession of the aircraft provided the court would authorize an advance payment on a lien claim held by a former employee of the various Fairfield General Corporations who had been the jet’s pilot in the past. The judge issued an order on May 7, 1974 authorizing the receiver to advance $10,000 on the lien. The pilot subsequently flew the aircraft to Newark International Airport where it was impounded under court order. TITLE. SELLER warrants that if said aircraft is sold and transferred to PURCHASER pursuant to this agreement, said aircraft will be free and clear of all liens, encumbrances and other liabilities as of the moment of transfer. Contingency. It is understood and agreed to by the parties hereto that final sale and transfer of this aircraft is subject to the approval [FN1] of the Court referred to above and that notwithstanding anything to the contrary herein, the provisions herein shall not be binding upon the parties until said final Court approval has been secured. The receiver obtained an order to show cause returnable February 13, 1975 requiring all interested parties to show cause why the aircraft should not be sold in accordance with the January agreement. The court insisted that the order to show cause contain a provision specifying that any bids in multiples of $100,000 above the Presley bid could be considered by the court on the return date. 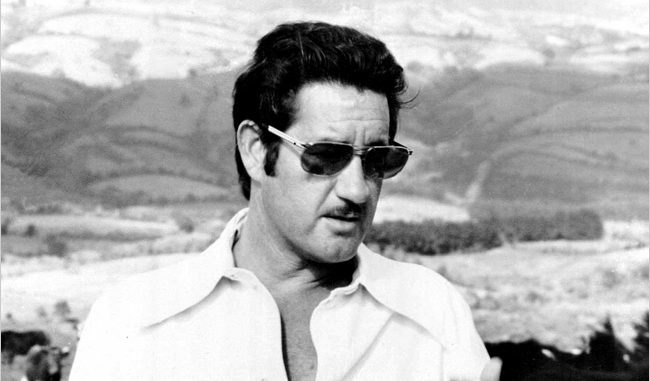 On February 5, 1975 the receiver was contacted by Presley’s Tennessee counsel in regard to a telegram the latter had received from the Republic of Panama, allegedly from Cancillieres, advising of an outstanding claim against the aircraft. On advice of the receiver, Presley obtained New Jersey counsel to protect his interests in the upcoming judicial proceeding. On the February 13, 1975 return date, Presley’s New Jersey counsel sought to “withdraw” the Presley offer, asserting the alleged inability of the receiver to deliver clear title as the reason for withdrawal. A lack of information concerning the Cancillieres claim made it impossible for the court to rule at that time on the alleged breach of the receiver’s contractual warranty of title. The hearing was terminated with the court’s suggestion that counsel try to effect a settlement which would include a compromise of the alleged Cancillieres claim. Counsel for Presley did not object to this suggestion and was more than an interested observer during the ensuing two weeks while negotiations for such a settlement took place. On February 28, 1975, the adjourned return date, Presley’s counsel announced that unless the transaction was consummated by 3 p.m. on that day, Presley was withdrawing his offer. Counsel for the various parties were unable to firmly agree on any sum which would satisfy Air Inter-Sales and Cancillieres because counsel for Air Inter-Sales could not reach his clients and obtain the appropriate authorization on such short notice. 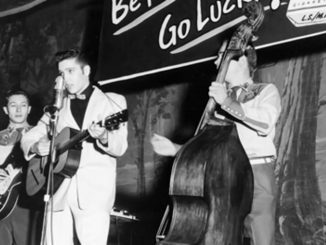 The receiver thereupon filed a petition against Presley, which the court deemed a complaint, in which he sought to compel Presley to proceed with the purchase or, in the alternative, to pay damages. Presley immediately moved for summary judgment dismissing the complaint. Soon thereafter, on March 6, Cancillieres and Air Inter-Sales allegedly reached a settlement of their differences. Cancillieres agreed that a portion of the proceeds of the contemplated sale, the sum of $325,000, which Air Inter- Sales was willing to accept in settlement for its lien on the aircraft, would be the sole object of any liens asserted by Cancillieres with respect to the aircraft. Thus, assuming the validity of this agreement, Presley would no longer have had any legitimate reason for concern that the aircraft might be subject to seizure at any number of foreign airports. Affidavits obtained from the attorneys for these two organizations attested to the settlement. Nevertheless, Presley persisted in his claim that the offer had been withdrawn. On April 18, 1975 the court initially ruled on the claims made by Presley in support of his motion for summary judgment. The court held that a proper construction of the sales agreement was that it was irrevocable until the court ruled as to approval. Thus, the dispositive question was whether the receiver could deliver satisfactory title as called for by the agreement. The judge observed that Presley could not be subjected to an interminable court proceeding to resolve the title issue, as his offer was conditional on the court’s ruling upon it within a reasonable period of time. He then held that a reasonable period of time had not expired and suggested that further court proceedings be held with dispatch to determine whether the receiver could comply with the warranty of title called for by the agreement. Presley’s motion for summary judgment was denied. Presley subsequently moved for reconsideration of the court’s denial of his motion for summary judgment on the receiver’s complaint. On May 2, 1975, the return date of the motion for reconsideration, both parties assured the court that there were no disputed issues of fact. Presley conceded that if on February 13, 1975 the receivership had been extended to encompass the two Fairfield General subsidiaries (Fairfield Aviation and Skyways) and if Cancillieres, Air Inter-Sales and Pan Am, as creditors of Fairfield General, had joined in the conveyance, clear title would have been conveyed. The court had been apprised of the purported agreement of Air Inter-Sales and Cancillieres with the receiver that their claims would be satisfied solely from the proceeds of the plane’s sale. Presley’s major contention was that the contingency clause in the agreement, see ante at 101, gave him an absolute right of withdrawal until the actual time of confirmation of the agreement by the court. In support of that proposition, he cited New York Football Giants, Inc. v. Los Angeles Chargers Football Club, Inc., 291 F.2d 471 (5 Cir. 1961), Detroit (Lion) Football Co. v. Robinson, 186 F.Supp. 933 (D.C.La.1960) aff’d 283 F.2d 657 (5 Cir. 1960), and Los Angeles Rams Football Club v. Cannon, 185 F.Supp. 717 (D.C.Cal.1960). The latter two cases held that executed contracts which by their express terms were not to be valid and binding until approved by the Commissioner of the National Football League did not bind the athletes who “jumped” to the American Football League prior to such approval. In opposition, the receiver claimed that the entire agreement had to be examined, not the contingency clause alone. He asserted that consideration of the document as a whole indicated that it was a binding agreement, subject to confirmation by the court. In his letter opinion of May 7, 1975, the judge reversed his previous determination and granted Presley’s motion for summary judgment. He observed that the issue of clear title had been satisfactorily resolved and was thus out of the case. Nevertheless, he found the “football cases” to be persuasive as to the meaning of the contingency clause. The judge felt that Presley did not intend his offer to be binding until actually approved by the court. Under those circumstances, he held that a court could not recast the clear wording of the contract in order to make it conform to the general rule pertaining to purchase offers made to a receiver subject to its approval. The court held that Presley had a right to withdraw his offer prior to confirmation and that his withdrawal was not arbitrary, given his reasonable apprehension as to the existence of outstanding claims to the aircraft. The subsequent resolution of the claims could not revive the offer in the absence of Presley’s consent. The receiver moved for reconsideration of the court’s reconsideration and presented an affidavit by the broker who had arranged the deal, Cal Strouse, to show that the intent of the parties was to make the offer irrevocable. At the hearing on June 6, 1975, the judge refused to consider this alleged fact issue, stating that at the May 2 hearing the receiver had assured him that no such issues existed. A final order granting Presley’s motion for summary judgment was signed by the court on June 17, 1975. On motion by the receiver, the court on June 20, 1975 issued an order permitting the surrender of the aircraft to Pan Am to allow its sale in satisfaction of Pan Am’s chattel mortgage. I.C.C. moved for a stay of the order releasing the plane as it feared that in the event of a reversal of the court’s ruling Presley could claim that there was no aircraft which could be tendered to him. The judge denied the stay on July 1, 1975, observing that Presley could make no such claim since his attorney had informed the judge that Presley had already purchased another airplane. [FN2] Thus, monetary damages would be in order in the event of a reversal. Both I.C.C. and the receiver appealed to the Appellate Division, which consolidated the two appeals. The Appellate Division affirmed the Chancery Division in an unreported per curiam decision on July 2, 1976, expressing its essential agreement with the conclusions of the judge. It found implicit in his reasoning the belief that the contingency clause had been relied upon by Presley and further found his determination not to confirm to be within his discretion. [FN3] We granted both I.C.C.’s and the receiver’s petitions for certification on November 9, 1976. 72 N.J. 464, 371 A.2d 68 (1976). On defendant’s motion pursuant to R. 4:34-1(b), Vernon E. Presley, executor under the last will and testament of the late Elvis Presley, was substituted as defendant-respondent. In both the Detroit (Lion) Football Co. and the Los Angeles Rams Football Club cases it was held that the signing of the contracts by the athletes constituted offers which could not be accepted until the commissioner of the National Football League approved them. In Detroit (Lion) Football Co. v. Robinson, 186 F.Supp. at 935, the court found that the commissioner’s signature was a condition precedent to the existence of the contract. Thus, the athlete’s offer had not been accepted at the time of its withdrawal. It is noteworthy that these holdings have been the subject of vigorous criticism. Professor Corbin strongly differed with the interpretations given by the Robinson and Cannon courts to the “valid and binding” language in the football contracts. The words ‘valid’ and ‘binding’ do not have only ‘one true meaning.’ A contract may be both valid and binding, even though it is conditional on the approval of an engineer or of some other third person. In view of these later cases, it is clear that even in the normal contractual setting, the Robinson and Cannon holdings are questionable authority. However, we are not called upon to rule on their viability in such a context. We concern ourselves only with the lower court’s holding that the rationale of these cases is controlling even in the context of a judicial sale, where no performance obligation inheres until approval of the agreement by the court. We reject the argument that this reasoning can apply with respect to judicial sales. Because a receiver is an officer of the court, see Silverman v. Kolker, 149 N.J.Super. 162, 166, 373 A.2d 442 (Ch.Div.1977), a receiver’s sale is a judicial sale. Campbell v. Parker, 59 N.J.Eq. 342, 346, 45 A. 116 (Chancery 1900). 2 Clark on Receivers s 482, at 784 (3rd. ed. 1959). Such sales normally involve an order of sale, a public or private sale conducted by the receiver and an order by the court confirming the sale. Bormann v. Simpson, 45 Ill.App.3d 176, 3 Ill.Dec. 965, 967, 359 N.E.2d 824, 826 (Ct.App.1977). The sale is completed only through confirmation by the court. 2 Clark on Receivers, supra s 482 at 785. However, overwhelming authority supports the proposition that once the purchaser makes a bid which is agreed to by the seller, or he signs an agreement to purchase, he is bound to complete the purchase and to pay the agreed consideration unless the court, in refusing to confirm the sale, relieves him of his bid. Id. s 489(a) at 801; see Camden v. F.L.B. Mayhew & Company, 129 U.S. 73, 83, 9 S.Ct. 246, 248, 32 L.Ed. 608, 611 (1889); Frazier v. Ash, 234 F.2d 320, 325 (5 Cir. 1956), cert. denied 352 U.S. 893, 77 S.Ct. 133, 1 L.Ed.2d 87 (1956); Freehill v. Greenfeld, 204 F.2d 907, 908 (2 Cir. 1953); Gordon v. Woods, 189 F.2d 76, 78-79 (1 Cir. 1951); In re Lane Lumber Company, 207 F. 762, 766 (9 Cir. 1913); 4A Collier on Bankruptcy s 70.98(16) at 1174-1175 (1976). Cf. Cropper v. Brown, 76 N.J.Eq. 406, 418-419, 74 A. 987 (Ch. 909). But see In re Susquehanna Chemical Corp., 92 F.Supp. 917, 919 (W.D.Pa.1950). The primary rationale for the majority view is the protection of the integrity of judicial sales. A judicial sale arising out of a statutory receivership is for the benefit of the creditors of the insolvent corporation. When a party submits an offer or a bid to a receiver in the hope of purchasing a company’s goods, it is with the understanding that the bid, once accepted by the receiver, remains open until it is either confirmed or rejected by the court. A contractual provision whereby a bidder may withdraw his bid without cause at a time prior to confirmation is so counter to the public policy in favor of expeditious settlement of receiverships that this Court will refuse to give it effect. The stability and integrity of judicial sales would be grievously impaired. It would be extremely difficult to conduct judicial sales at all. Of course, where fraud or overreaching on the part of the receiver is alleged, the purchaser may seek appropriate relief from the court which has wide discretion in determining whether or not to confirm the sale. Karel v. Davis, 122 N.J.Eq. 526, 528, 194 A. 545 (E. & A. 1937), Froehlich v. Walden, 66 N.J.Super. 390, 395-396, 169 A.2d 204 (Ch.Div.1961). The same holds true where it would be inequitable, for any reason, to force the purchaser to complete the transaction. Young v. Weber, 117 N.J.Eq. 242, 250, 175 A. 273 (Ch.1934). Furthermore, we are unconvinced that the so-called contingency clause in this particular agreement of sale was ever intended to give Presley an absolute right to withdraw his bid. While the words ” . 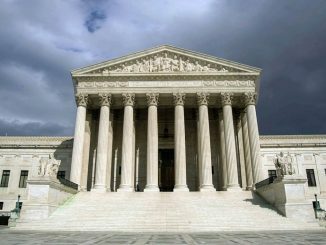 . . the provisions herein shall not be binding upon the parties until said final court approval has been secured,” standing alone, may be read as indicating that nothing but a revocable offer was made, this Court does not interpret documents by selective reference to individual clauses. Construing the contingency clause in light of the entire instrument leads us to conclude that the courts below erred in finding that there was merely a revocable offer. 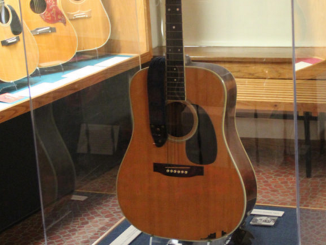 The instrument, which was drafted by Presley’s Tennessee attorney, was entitled “Agreement” and set forth both the purchase price and the repairs to be accomplished before the transfer of the aircraft. Upon execution by the seller, it was provided that $75,000 be paid by the purchaser, to be held in escrow by the seller in short term interest-bearing securities. This deposit was returnable to Presley with interest in the event the agreement was not carried out. A provision requiring execution of a more formal agreement was waived by Presley. In viewing the contingency clause as a part of the whole document, we are convinced that it was intended to mean that neither party had a duty to perform until court approval. The contingency clause thus was no more than a contractual codification of the rule of judicial sales. There is no indication that Presley’s deposit was for the purpose of maintaining an option to purchase the aircraft until the time of confirmation. We believe that both parties, knowing that the context of this transaction was a judicial sale, merely sought to make note of that fact by use of the particular language in the contingency clause. We find persuasive the view taken by the court in Omaha Public Power Dist. v. Employers’ Fire Insurance Co., 327 F.2d 912, 915 (8 Cir. 1964), that a contract which required the procurement of insurance by one of the parties to become effective was a binding agreement. The pertinent provision read “This contract shall not become effective until such policies are in full force and effect”. Assigning the parties’ words their plain and unequivocal meaning, this modifying clause is subject to but one interpretation. The parties intended binding performance of their obligations under the existent contract to be contingent upon occurrence of the described event, a fact to precede immediate performance other than the mere lapse of time. See Restatement, Contracts s 250 (1932). Consequently, it would be improperly stated as defendant contends to deny that a contract, once the terms were agreed upon, ever came into being for failure of the condition precedent to occur. Although we agree with plaintiff that the questioned provision was not a condition precedent to the existence of the contract, it was a condition precedent to performance of the work. (327 F.2d at 915). The same view was taken in Lamb v. Staples, 236 N.C. 179, 72 S.E.2d 219, 220 (1952), where a provision making plaintiff’s securing of approval by a third party “a condition precedent to the validity and effect of this agreement” was viewed as a condition precedent to performance by defendant. The court never questioned the validity of the formation of the contract. As previously discussed, at the May 2, 1975 reconsideration of the motion by Presley to dismiss the receiver’s complaint, both sides had assured the court that there were no issues of fact. After the court reversed its earlier position and held that Presley had made only a revocable offer, the receiver claimed that an affidavit he had from the broker who brought the parties together would show that both parties considered the writing to be a binding contract. We need not decide whether the judge should have permitted the belated introduction of evidence to support an issue of fact and thus prevent summary judgment. We hold that on the basis of the plain wording of the document, the Chancery Division erred as a matter of law in finding it to be a revocable offer. The court paid insufficient notice to the factual setting of the transaction, the most important feature of which was the existence of the receivership. Finally, in the context of a judicial sale, we hold that any contract provision which can be read only as granting an absolute right of withdrawal of an accepted bid up to the time of confirmation is void as against public policy, absent specific prior approval of the Chancery Judge. The interest of freedom to contract must be balanced against the special purposes behind a judicial sale. Where such freedom can act to abrogate totally the public policy in favor of expeditious sales for the benefit of creditors, it must be circumscribed. For obvious reasons, public policy ordains that the power to set aside judicial sales based upon competitive bidding should be sparingly exercised. The integrity of the process, designed as it is to secure the highest and best price in cash then obtainable for the property, demands that a sale so conducted shall be vacated only when necessary to correct a plain injustice. Thus it is that in such matters the court is enjoined to exercise a sound discretion, guided by considerations of justice and equity and not by whim or caprice. In the instant case there was no public sale with competitive bidding. Because of the peculiar nature of the property to be sold, the receiver was instructed to seek out purchasers and make use of a broker in doing so. The record does not indicate that there were any interested buyers other than Presley. On the original return date, February 13, 1975, there were no other bidders present when the judge asked if any one had a bid in excess of Presley’s $1,500,000. Nevertheless, we view these distinctions as inconsequential and find the reasoning of Karel to be persuasive in the present factual context. Confirmation could have been denied only if such a denial was equitable. 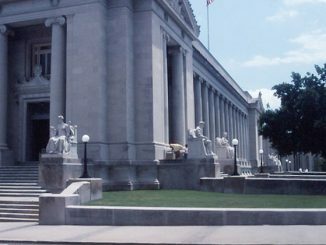 Under the circumstances of this case, the only basis for a denial of confirmation would have been the receiver’s inability to deliver satisfactory title in a timely fashion. There were two facets to the title problem herein: the power of a receiver of a parent corporation to transfer title to property technically belonging to a sub-subsidiary and the difficulties arising from the uncertain status of the Cancillieres claim to the aircraft. Presley quite reasonably desired that his title to the aircraft be unclouded. Aside from personal use, he was planning to make the aircraft available for private charter. In the present posture of international law, the aircraft would have been subject to seizure by creditors in both Panama and Mexico. [FN4] We are unable to characterize properly the status of the Cancillieres claim, as that corporate claimant has never come before the court. Although its claim was not recorded with the Federal Aviation Administration under federal law, such failure to record provides no protection from the claim for “any person having actual notice thereof.” See 49 U.S.C. s 1403(c). Thus, unless the purported settlement arrangement between Cancillieres and Air Inter-Sales was of a binding nature, Presley indeed would have had legitimate reason to feel apprehensive about the security of his ownership. Furthermore, since Cancillieres was not subject to the jurisdiction of the court, any adjudication of its interest, which might have entailed application of Bahamanian and/or Panamanian law, would not have been effective to preclude the possibility of its use of extraterritorial self-help. There is no such problem with respect to Air Inter-Sales, which was before the court and clearly indicated its willingness to satisfy its claim out of the contemplated proceeds of the sale to Presley. This Court is not in a position to determine whether or not the purported settlement between Cancillieres and Air Inter-Sales was indeed valid and binding so as to afford sufficient protection to the prospective purchaser. In his May 7, 1975 letter opinion, the Chancery Judge seemed to assume that this aspect of the title issue had been satisfactorily resolved. Nevertheless, we feel that sufficient questions remain with respect to the status of the Cancillieres claim and the effect of the March 6, 1975 settlement agreement between Cancillieres and Air Inter-Sales to warrant a remand for a more comprehensive determination of this issue. However, notwithstanding the confusion in this regard as to the quality of title deliverable by the receiver, a receiver’s inability to establish his good title by the date set for confirmation should not automatically result in a denial of confirmation. We are cognizant of the salutary rule which enables a party who has committed himself to a purchase from a receiver to be relieved of his obligation in the unusual case where the sale does not proceed expeditiously to its conclusion. We agree with the court in In re Wonderbowl Inc., 460 F.2d 1220 (9 Cir. 1972), that absent an agreement between the buyer and seller in a bankruptcy sale that the buyer would await the clearing of title indefinitely, the buyer was justified in withdrawing his bid when the trustee in bankruptcy was unable to deliver clear title within a reasonable period of time. In that case, it was clear that protracted litigation with a lienholder was in the offing. Although the situation in the instant case is distinguishable, the potential for intolerable delay nevertheless existed as a result of the unresolved doubts concerning the Cancillieres claim. In an effort to bring the lengthy proceedings in this matter to a rapid conclusion, we direct the Chancery Court to make the following determinations on remand. The ability of the receiver to deliver satisfactory title to the aircraft within a reasonable time after the date originally set for confirmation must be established. Presley should not have been required to endure an unreasonable delay before the status of the receiver’s title and the validity of his claimed power to transfer same were resolved. As of April 18, 1975, the court had indicated that the receiver was still within his allotted reasonable time to clear up the disputed title issues. The appropriate determination at that point would have been to set a deadline of thirty days or some like period for the resolution of these problems by the receiver. This period presumably would have been sufficient to enable the receiver to prove the validity of the Cancillieres Air Inter-Sales settlement and to gain the uncontestable power to dispose of the property of the sub-subsidiary Skyways through the appropriate inter-corporate mechanisms. Such a procedure is consistent with the view taken by the Chancery Judge in his April 18, 1975 denial of Presley’s motion for summary judgment, with the exception of the failure to follow his own suggestion by not imposing any definite time strictures. See ante at 102. Had such a deadline been set and the court was not satisfied that the disputed matters had been properly attended to by that time, Presley should have been permitted to withdraw his bid. A denial of confirmation on this ground would have been well within the court’s discretion. Thus, we direct the court below to make the following findings. First, it must determine whether the Cancillieres Air-Inter Sales settlement would have been provably valid within thirty days of April 18, 1975. If not, the inquiry ends and Presley prevails. In the event that the first inquiry is answered in the affirmative, the Court shall next decide whether there was a reasonable likelihood of clearing all title entanglements with Skyways within the same thirty days. If the Court finds that both of these conditions could have been met, the receiver should prevail. In the event the receiver is able to prove his ability to have delivered satisfactory title in a timely manner, we believe that the appropriate measure of the damages due the receiver from Presley would be the difference between the net amount realized by the receiver from the sale of the aircraft by Pan Am and the net amount the receiver would have realized had Presley tendered the balance of the $1,500,000 purchase price upon confirmation of the sale. This amount is, of course, subject to any meritorious defenses available to Presley with respect to the issue of damages. Any other expenses incurred by the receiver which are justly attributable to Presley’s breach of contract may also be assessed. The judgment of the Appellate Division affirming the dismissal of the receiver’s complaint is reversed and the case is remanded to the Chancery Division for further proceedings consistent with this opinion. FN1. All parties and both lower courts considered the word approval to mean confirmation by the chancery judge. We agree with this conclusion. FN2. This information was informally garnered in a chance meeting between the judge and Presley’s attorney. Presley was not represented at the July 1 hearing. However, at no subsequent point has Presley suggested that this was not an accurate statement of fact. FN3. The Chancery Judge never explicitly reached the question of confirmation as he held that Presley had an absolute contractual right to withdraw at any time prior to confirmation. He did not choose to refuse confirmation. Rather, he held that there was no contract to confirm. FN4. At February 13, 1975 return date, it was represented to the court that the Oklahoma City registration of the aircraft with the Federal Aviation Administration would be respected by all countries who are signatories to the Mortgage Convention. However, if the plane flew into countries that are non signatories or only provisional signatories, local law as to seizure and attachment might apply. Neither Panama nor Mexico is a signatory. It was noted that most European countries are signatories.